Sun in Libra brings an interesting paradox, because while it is a symbol of balance, indecision is very present in your life. 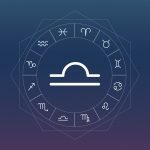 The energy of the Sun is of the most important in the construction of our personality, so let’s go deep to what it brings for Libra. Sun in Libra makes very diplomatic people. It’s those elegant people who do not seem to mess up any strands of hair when ending a fight. They have a great relationship with people and avoid conflict at all costs. Usually, they are the conciliators when there is some friction. Sun in Libra brings the desire to explore your partnerships and interpersonal relationships in general. The gentlest side will come out, take advantage of volunteer work and for the collective. Sports and team activities are also great options to focus on at that time. Toleration of others’ defects comes from empathy and the ability to see from another’s point of view. They are good at talking and give great advice. And that does not it will be the best for you if you are wrong, for your sense of justice is very sharp and it is difficult to see them supporting what is wrong. They are sensitive, romantic and eternal in love with life and what is beautiful. Intelligent and well-dressed for any occasion, it is very common to attract glances wherever they go. With Venus being their ruling planet, beauty and aesthetic sense are in a very natural and smooth state. They are usually very charming and seductive, without pushing too hard. All this collective capacity and ease of getting along with everyone can bring one negative thing: the sense of disloyalty to others. Libra is the kind of person who can be friends with two strong enemies because they do not stand for or against either one or the other. This is not seen with good eyes, besides the fact that he knows a lot about everyone. As they are pleasant company, people end up revealing their secrets and Libra with this need to bond with everyone, may end up not resisting a gossip as a way of approaching. Also coming from the relationship they have with people, they have a hard time saying no. They do not want conflict, they do not want weird situations with anybody and they fear to disappoint the other. This apparent lack of personality sometimes gives way to a more definite and public positioning, but it is very rare. And when they take the courage to do it, they do not like being retaliated.